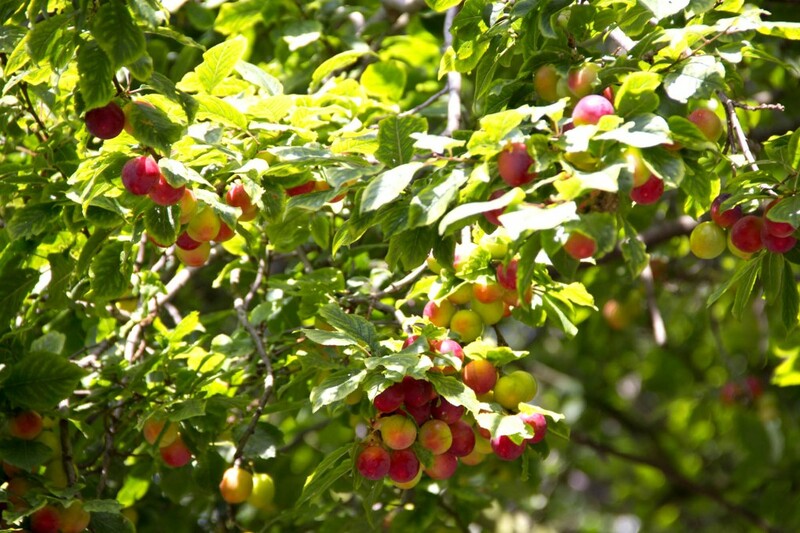 Plums are ripening all around our goat enclosure and the fruits are attracting a host of wildlife. You’ll hear the noisy chatter of starlings and squawking of parakeets as they feed overhead on a feast of plums. Squirrels are also making the most of the fruits and you may catch a wood pigeon awkwardly trying to navigate its way through the branches. 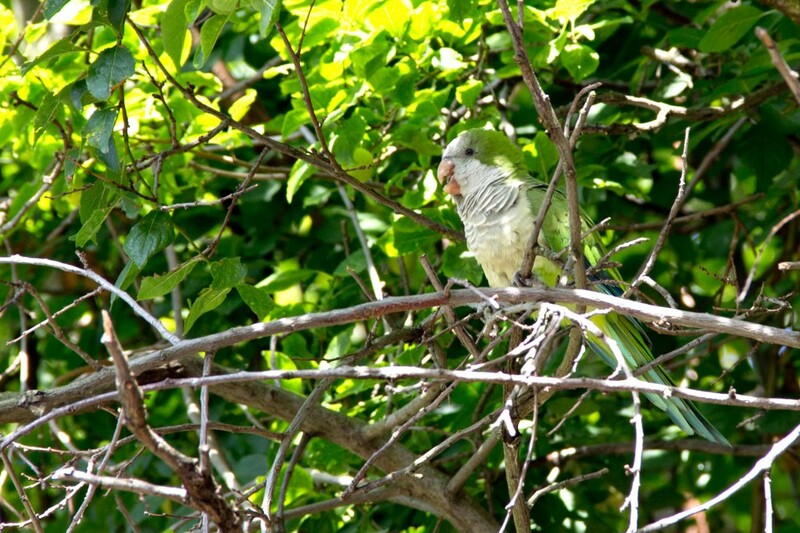 It’s a great opportunity to get a close look at some of these creatures, who might otherwise be a bit shy, including the Monk Parakeets (Myiopsitta monachus), a non-native species established locally here on the Isle of Dogs. 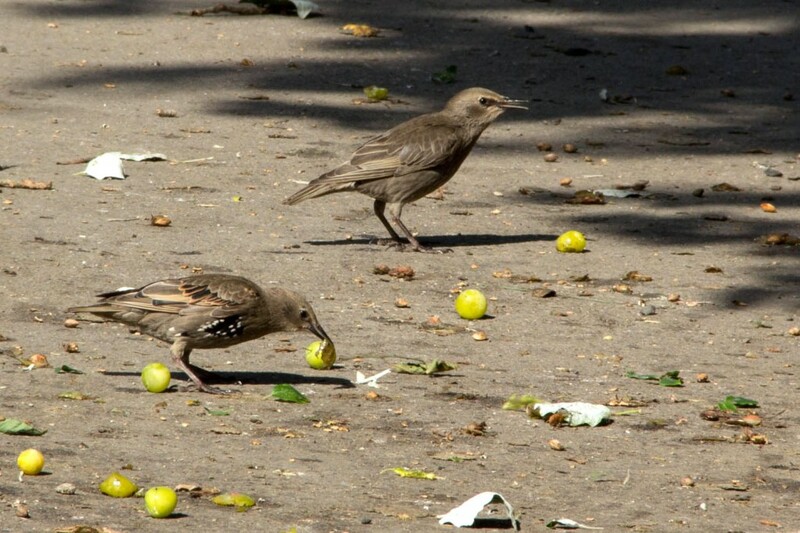 Juvenile starlings feed on the fallen fruits. 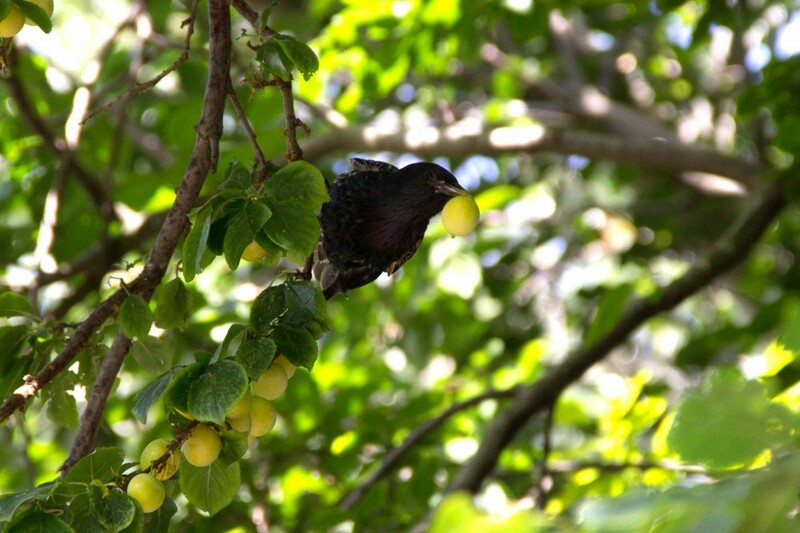 An adult starling plucks an unripe plum from the trees. 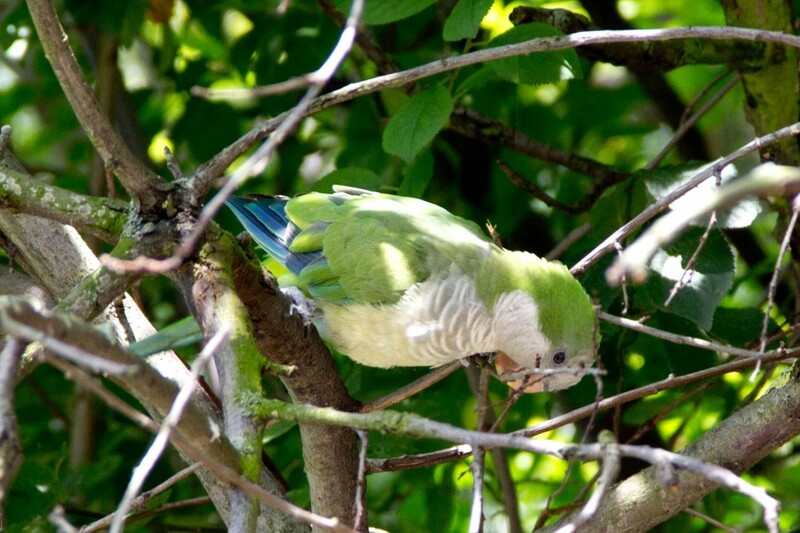 Monk parakeets have white cheeks and are smaller than their ring-necked cousins.